Custody disputes in the modern world can be complicated and difficult for a number of reasons, not the least of which is determining which court has jurisdiction over the dispute. 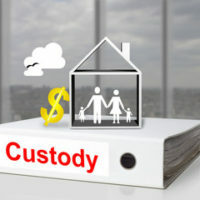 If you move during or after a divorce, you may find yourself fighting a legal battle in an entirely different state, creating both logistical problems in simply getting to court appearances as well as affecting the ultimate custody determination depending on where the court determines the “home state” of the children is located. A New Jersey appellate court recently had to determine jurisdiction over a dispute involving a family that had lived in at least three different states at different times since the birth of their children. Continue reading for details on the case about the complications in determining jurisdiction for a child support case, and contact a seasoned New Jersey child custody lawyer if you have any questions about a custody dispute. The case of P.H. v. L.W. concerned a separated couple with twin daughters. The mother was from South Dakota and met the father in 2012 while visiting Chicago, who himself was visiting from New York. The parties moved to South Dakota, where the twin girls were born in 2013. The father later moved back to New York, while the mother and daughters stayed in South Dakota until 2015. In June 2015, they moved to New York and lived with the father, before the father signed a lease in New Jersey on July 15, 2015. The mother and kids moved into the New Jersey residence on July 18, 2015. After several domestic incidents, on January 13, 2016, the mother moved out of the New Jersey residence, arriving in South Dakota on January 15. The father filed a custody dispute in New Jersey court two weeks later. The mother failed to show up for several court appearances in New Jersey court, later claiming that she never received notice of the New Jersey lawsuit. As a result, she was unable to challenge the father’s argument that she inappropriately left the state with the two children without the father’s consent. She suffered a significant blow to her custody argument, and a bench warrant was issued for her arrest. There are additional details of the proceedings in the case, but these facts alone demonstrate how significant jurisdiction can be. The mother challenged the New Jersey court’s jurisdiction. The New Jersey appellate court agreed that New Jersey was not the “home state” of the two daughters because they resided in New Jersey five days short of the six month requirement under N.J.S.A. 2A:34-54, New Jersey’s child custody law. If the daughters had moved into the New Jersey apartment on the day the father signed the lease, they would have hit the six month minimum; because they moved in with him three days later, they did not. The court also rejected the alternative argument that New Jersey had jurisdiction because of the children’s “significant connection” to New Jersey. If the court had evaluated jurisdiction when the lawsuit was filed in January 2016, when the daughters had only been absent from New Jersey for two weeks, then there may have been a “significant connection” to the forum. Instead, because the order being challenged (the request for dismissal of the New Jersey custody dispute) was issued in June 2017, a year and a half after the daughters left New Jersey, they no longer had significant connection to New Jersey. The court also noted that South Dakota was a more convenient forum than New Jersey as the majority of the parties and evidence involved were in South Dakota rather than New Jersey. If you’re in need of passionate, dedicated, and skilled legal help with a divorce or custody dispute in New Jersey, contact the Union offices of family law attorney John B. D’Alessandro at 908-964-0102.